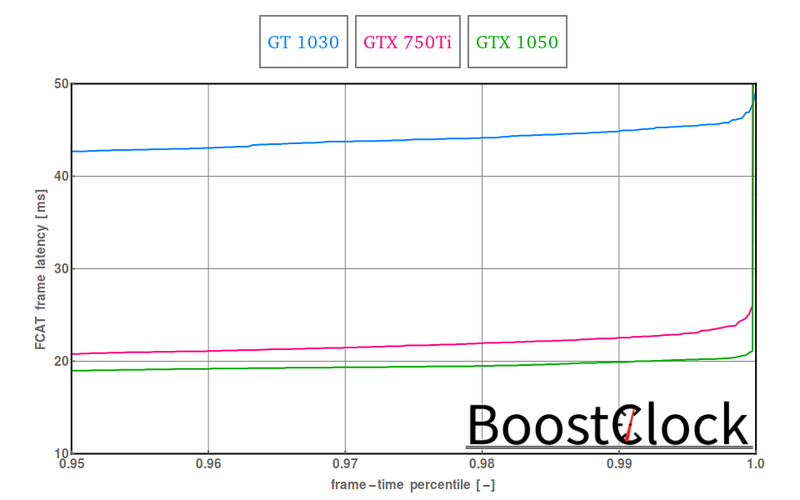 The performance of the cards is a bit underwhelming - 720p and medium quality preset was used to get in the range of 60 FPS with the strongest GPU of the trio, the GTX 1050. 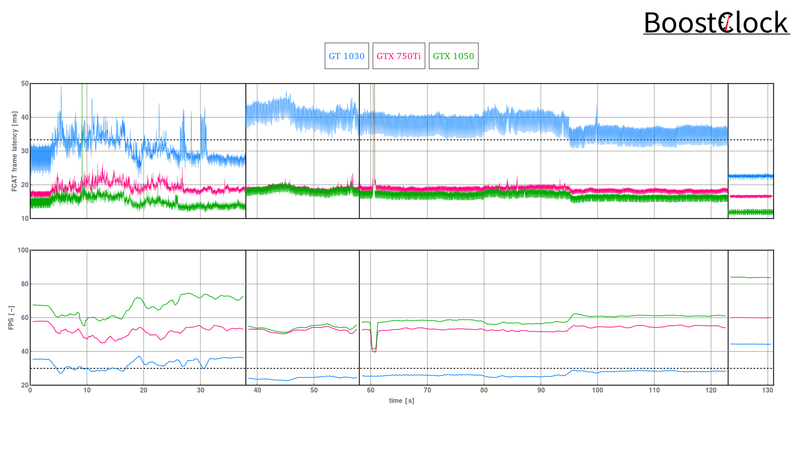 It seems that low-level APIs can really take advantage of the bigger bus width and more CUDA cores of the GTX 750 Ti compared to the GT 1030. 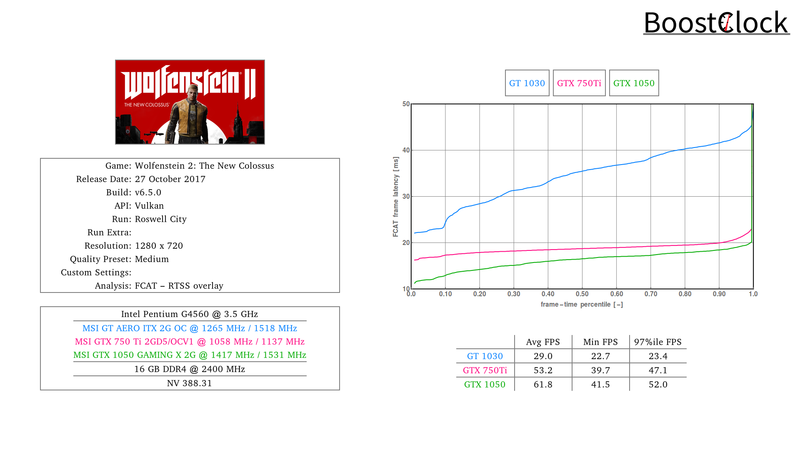 Older games show around 20-25% difference between these cards, but the gap is enormous in Forza 7 (DX12) and Wolfenstein 2 (Vulkan).